If you’re looking for a steady source of income for your World of Warcraft character, then look no further than the WoW dailies. Daily quests show up on your mini map as blue exclamation points or question marks. Just as with the regular gold quests, an exclamation point indicates it’s a quest you can pick up, and a question mark indicates a quest you can turn in. You probably didn’t give much thought to daily quests as you were leveling, especially if you used the technique of dungeon leveling. In most cases, the lower levels probably flew by far too fast to even consider doing any of the WoW dailies more than once. However, those daily quests have new importance when you reach level 85. Daily quests are important for a couple of reasons. One thing many WoW players don’t know about the dailies is that they provide a stable source of gold. 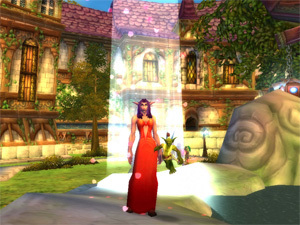 There are plenty of WoW gold guides on the market these days, and they all list complicated strategies for earning gold, many of which involve working the auction house. The problem with the auction house is that it really is more of a gamble sometimes. Some players are very adept at working the auction house, so you should certainly try it for a bit and see how you do at it. But don’t forget to keep running your WoW dailies so the gold will keep coming in. Most WoW dailies pay 13-20 gold, so completing the allotted 25 daily quests per day can earn you over 300 gold in one day. Another reason WoW dailies are so important is because they help you earn reputation with various factions throughout the game. While some WoW players farm reputation just for achievements, there are also plenty of other rewards for reputation earned with some factions. The Sons of Hodir is one of the more popular reputations to earn because of the enchantments that can be purchased when you reach exalted status. Jewel crafters will also find rare gem designs, and tailors can purchase the pattern for the glacial bag, a 22-slot bag that can only be made once per week. In addition, there are several rare mounts available from the Sons of Hodir. One thing to remember while you’re working on reputation with various factions is that having an exalted status with various factions will not benefit all classes and races. The Sons of Hodir is more of an exception rather than a rule because of the wide benefits offered from the faction. After you earn reputation with the Sons of Hodir, then you will want to consult a WoW dailies guide like Dugi’s Dailies and Events Guide. The guide will help you figure out which factions you will be benefitted the most by earning reputation from. You’ll also be able to see which WoW dailies will earn you the most gold and be able to plan out a speed route for your WoW dailies.